It's tough to find cool (non-cheesy) graphic tees for your littles. Enter this chicago-based shop that has the coolest selection. On-trend typography, simple designs and perfect for modern kids (and the modern mamas who shop for them). 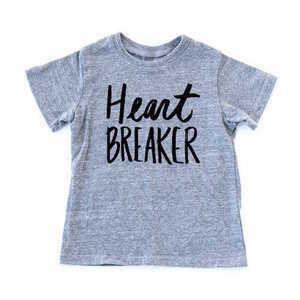 A few of our favs are their "heartbreaker" tee, "legend" tee, and for the little ladies "grl pwr" tee.